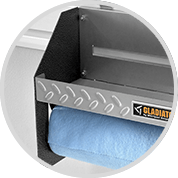 The Clean-Up Caddy hangs securely on GearWall® Panels & GearTrack® Channels and holds one roll of commercial cleaning wipes (275 – 300mm). 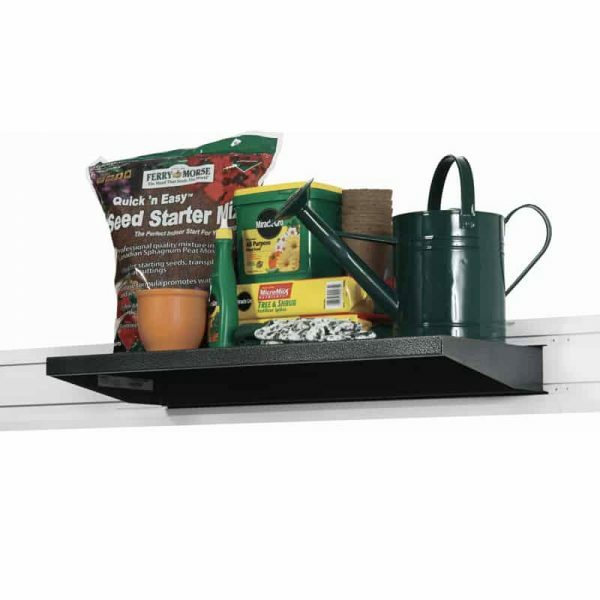 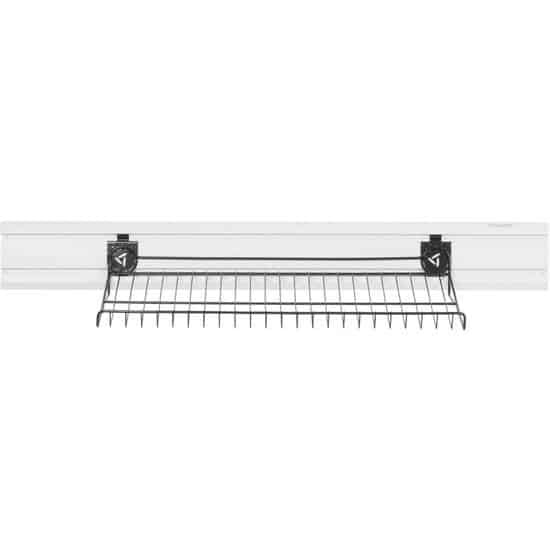 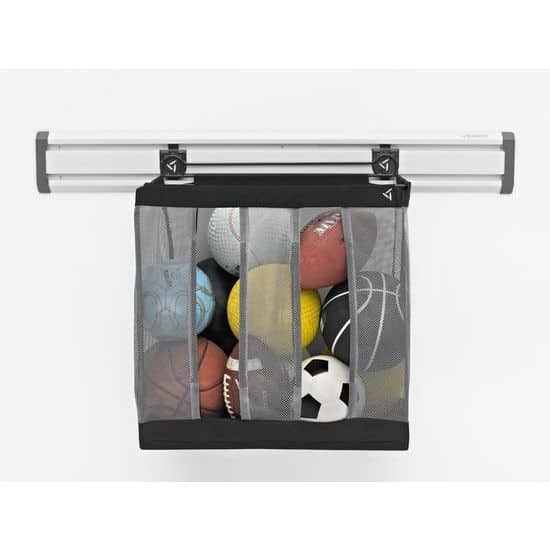 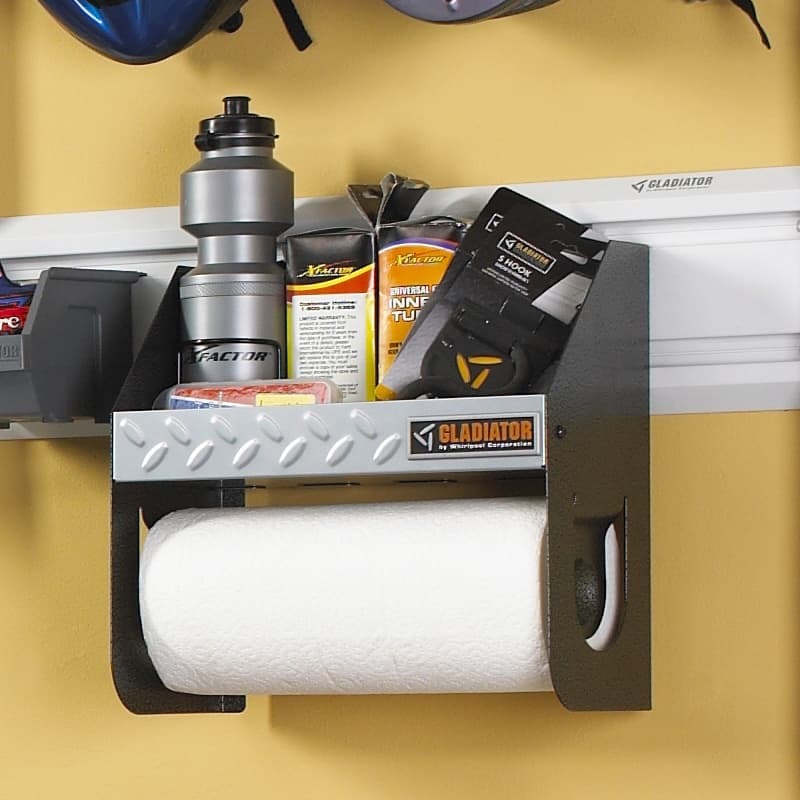 The upper shelf is perfect for sprays, wipes and other cleaning supplies. 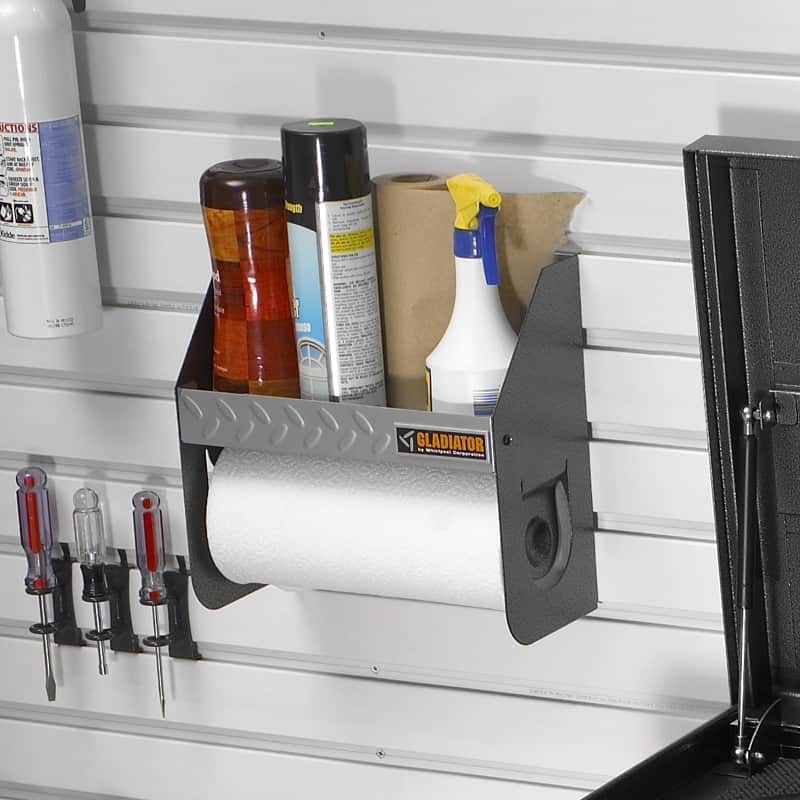 The Clean-Up Caddy is designed to keep your cleaning supplies up off the floor, organized and all in one place. 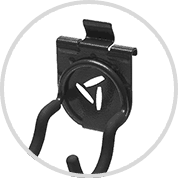 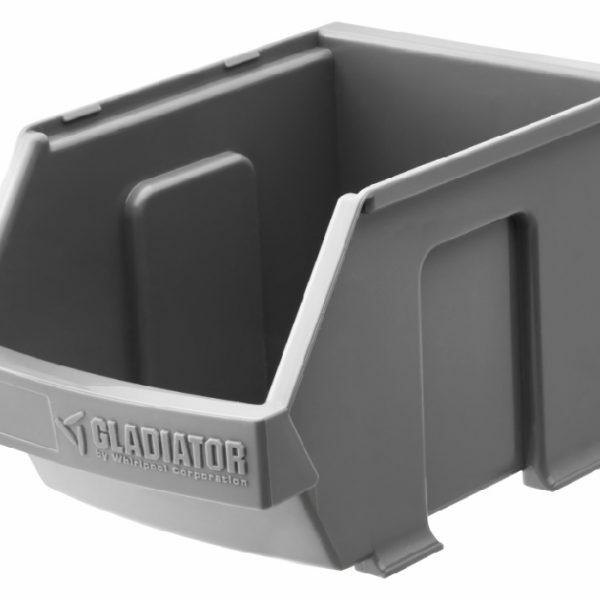 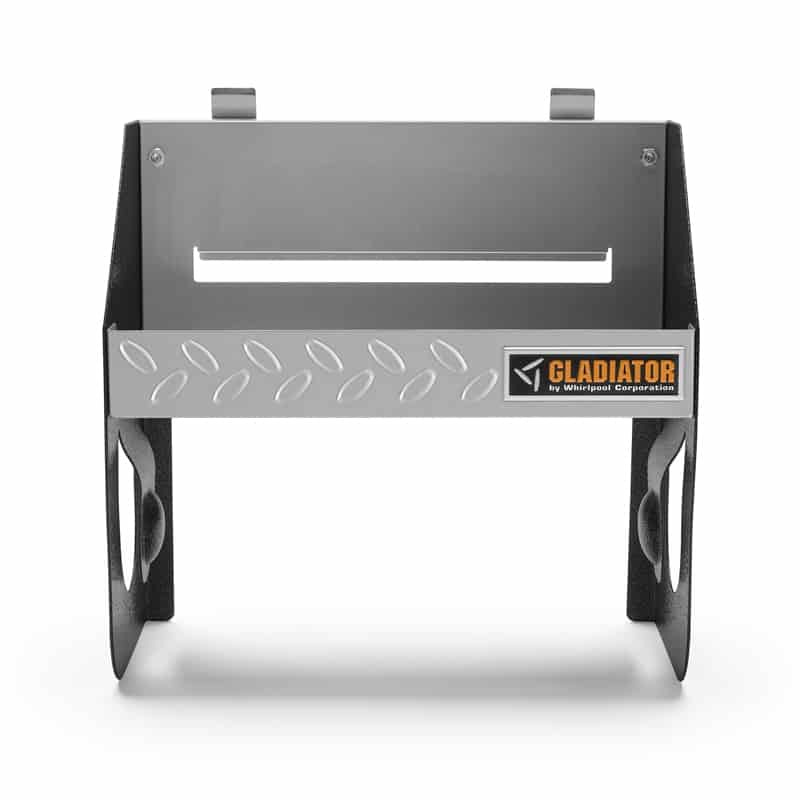 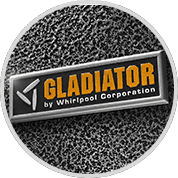 When storage needs change the Clean Up Caddy can be easily repositioned on Gladiator Gearwall and Geartrack. 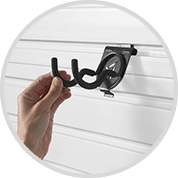 Features a durable powdercoated finish. 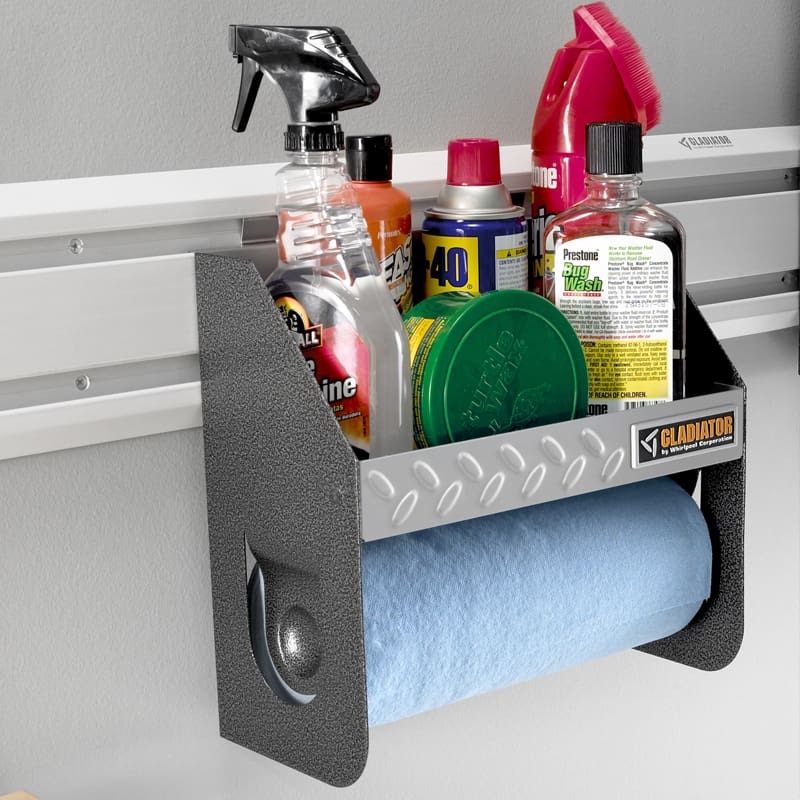 The solid metal shelf can hold small cleaning supplies on top and has a paper towel holder underneath.